Can Ros and Grady move on from the past, or will their pain drive them apart? Six years ago, the Balfours lost their son Cadel to a hit-and-run driver. A few months ago, Ros discovered Grady’s affair. With their marriage fast disintegrating, they decide to take a three-month camping trip into the heart of Australia to try and mend deep wounds and rekindle the fire that once fused them close. This trip will decide the fate of their relationship: do they have enough strength and enough love left to accept what life has put them both through? 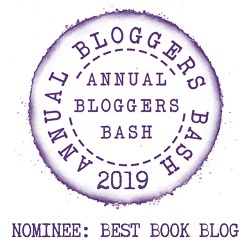 But trust and forgiveness don’t come easily, and Ros and Grady have to navigate not only the wilderness of the Outback and the challenges of other travellers, but also the chasm of grief and bitterness they have sunk into over the last six years. How far would you go to save your ailing marriage? Ros and Grady have been pulling in opposite directions for a while, even before their son, Cadel was tragically killed. After his death, Ros grief swamps her and the couple end up further apart than they have ever been, leading Grady to have an affair. Deciding something drastic needs to be done, Grady comes up with the idea of spending some time alone in the outback. Three months of time alone. Can the couple overcome their problems, and divulge their darkest secrets to one another to save themselves? I know that this book took a lot of time and emotion to write, with Maggie putting her heart and soul into it, so I wanted to like it. Unfortunately, I just couldn’t get into it properly. The problem for me was the pace. It is exceptionally slow, with no real action to pick it up and hold me captivated. I understand that this is an emotional book, but all books need something to capture the interests of the reader. The characters felt very much one-dimensional, and I just couldn’t warm to them. Grady felt self-centred even when he was trying to be helpful and loving, and Ros just felt distant. I really did want to feel empathy for Ros, what with her son being killed, her husband having an affair and her marriage falling apart, but there was just something about her that had me lacking that empathy I so wanted. As I have said, this is an emotional book about two people who clearly love each other, but have drifted apart. They have a desire to work through their problems and not give up on their marriage, however it didn’t move my emotions. I found it tough-going and I’m really sorry to say, it actually bored me. A free range child, I grew on an island in Canada’s Pacific Northwest. I spent my formative years flying under the radar, building alternative universes, and wishing for 20/20 vision. Shortly after my 17th birthday I set out to see the world, or at least large parts of Canada. I lived in four of Canada’s major cities before eventually moving to Australia. While living Down Under, I started writing fiction and explored the outback. I now divide my time between Victoria and Salt Spring Island, often dreaming of Australia’s golden sands and blue skies. 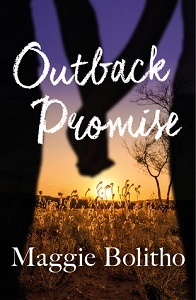 November 2015 my adult novel, Outback Promise, was released by HarperCollins Australia. In 2014 my debut novel, Lockdown, was released by Great Plains Teen Fiction.